WhatsApp recently introduced Stickers, as a new way to add creative and fun elements to chats. Since the feature is very new, there are a lot of sticker packs available at the moment, so you might find the options offered so far don’t really appeal to you. 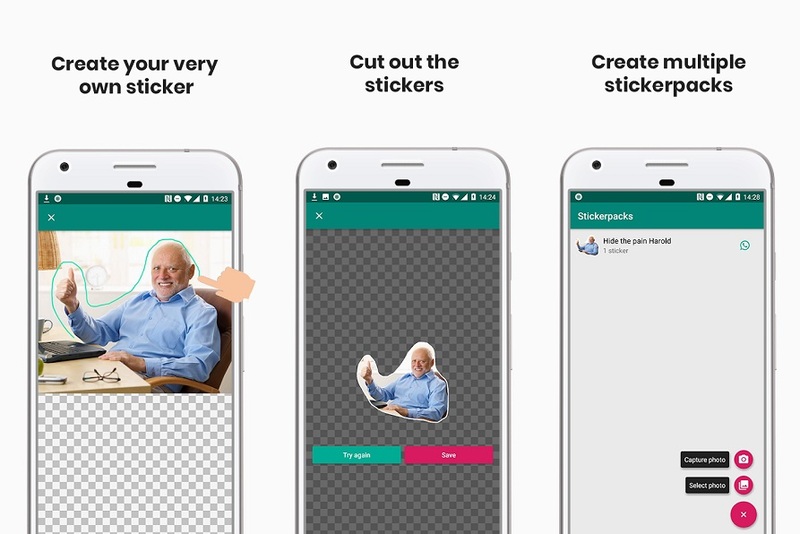 Thankfully, you can import additional sticker packs via the Play Store…or if you’re the more do-it-yourself kind of person, you can actually create your own custom sticker packs. 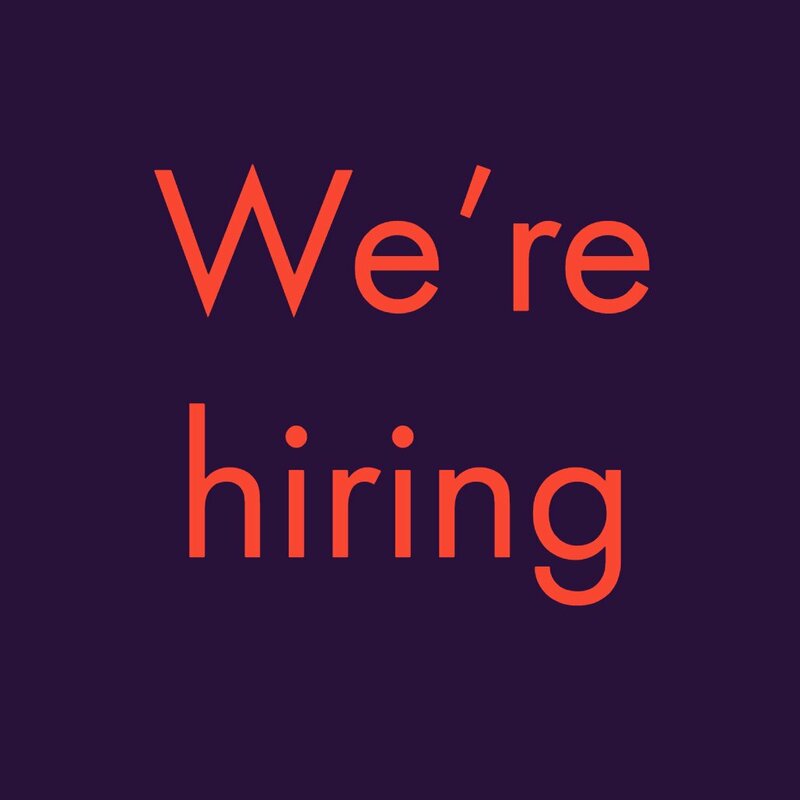 This is quite easy to do, no graphic design skills required. All you need to do is download some apps on your Android device and get to work. 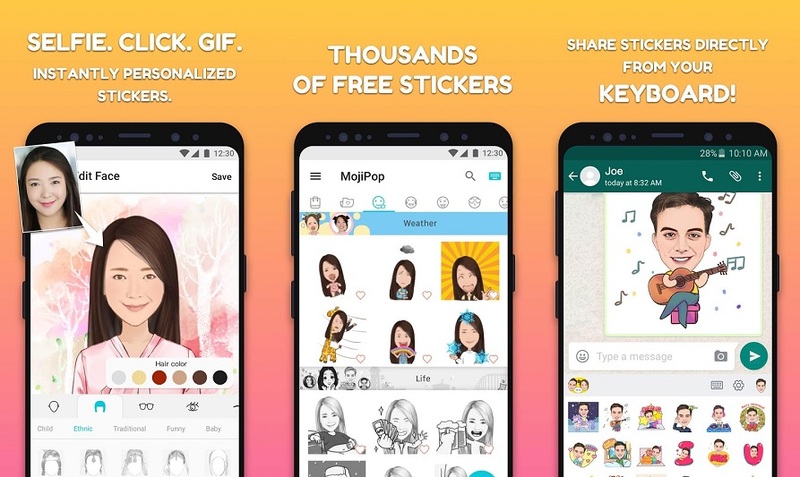 So here are the best apps that can help you create stickers that you’ll actually want to use in your chats. 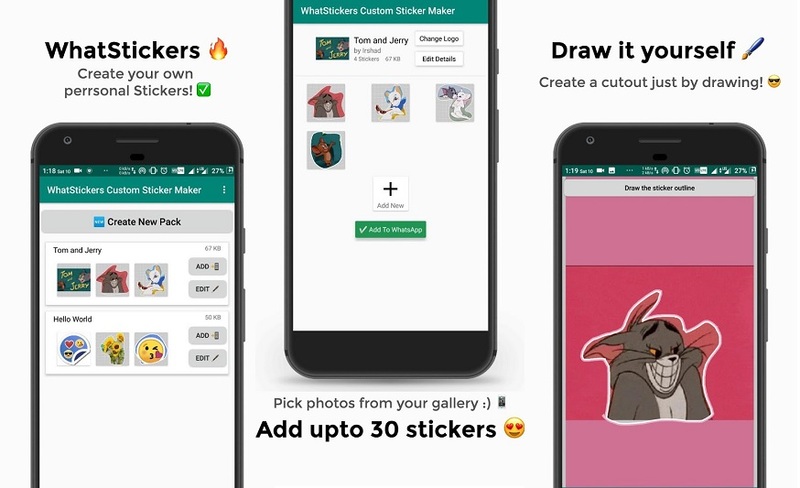 StickerMaker is a very easy-to-use app that quickly lets you create custom stickers for WhatsApp. Simply tap on the “Create a new sticker pack” to start creating your own options. You’ll be asked to choose a name for your pack and add the author’s name to it too. A pack can include up to 30 stickers. To create a sticker simply outline the part of the photo you want to transform into a sticker with your finger. Once you’ve added a Tray Icon and at least 3 stickers you can import them to WhatsApp by pressing the “Add to WhatsApp” button. Another alternative you can use for free if you want to make your own stickers for WhatsApp. Start adding your own photos by using the “+” circular floating button in the app. 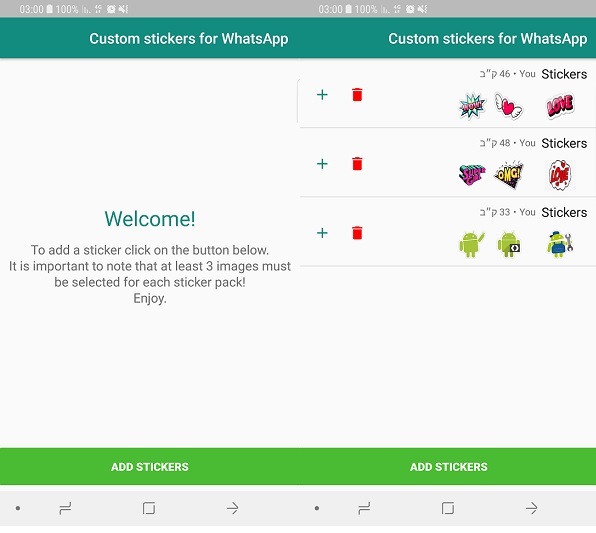 Cut out your stickers and add as much 3 in your pack to be allowed to export it to WhatsApp. You can add a maximum of 30 in a pack. 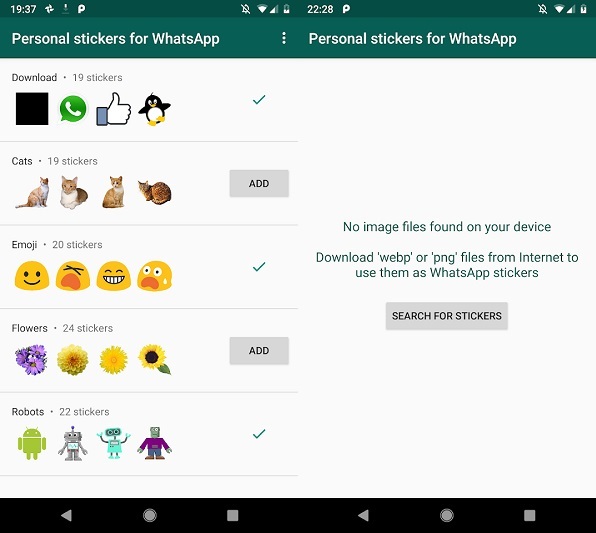 Since stickers are basically PNG images without backgrounds, you have the option of manually adding PNG files to WhatsApp and use them as stickers. But the process takes a few steps to complete. The faster way to achieve the same result is to use Personal Stickers. 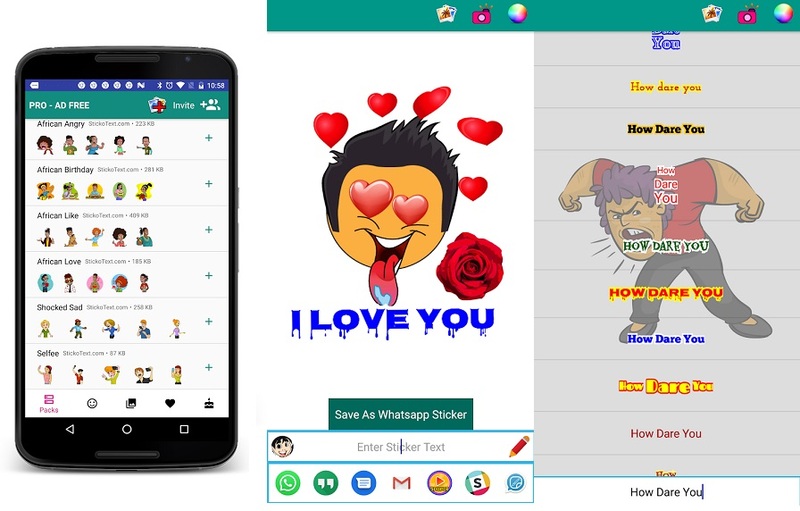 This app lets you use and easily import PNG images to WhatsApp in the form of sticker packs. Simply select the PNGs you already have on your device which you want to use as stickers or use the Search for stickers option in the app. This will automatically open up Google sticker search for you. From there you can easily download the PNGs you want and then easily add them to WhatsApp from the app. This app turns your photos into stickers without even removing their background. But if you want to, there’s a manual option to do so. 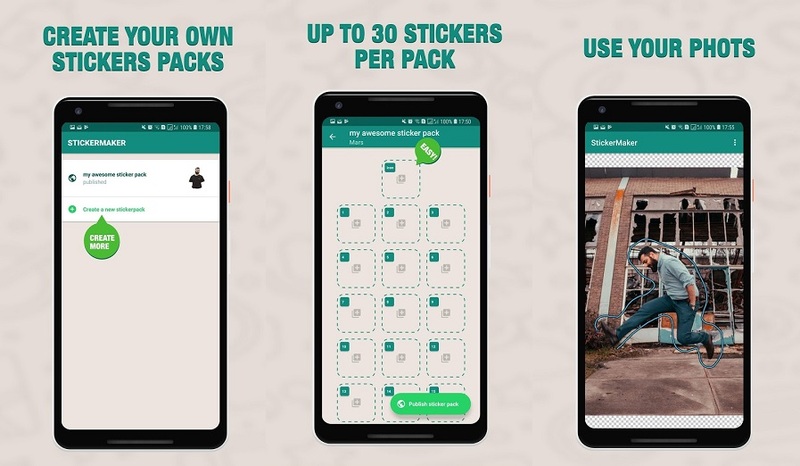 Packs must have a minimum of 3 stickers before you can import them into WhatsApp. Which is very easy, by the way. Simply tap the “+” button and you’ll be able to see them in the app. An app that lets you download various sets of stickers, as well as allowing you to create your own using the built-in studio. Create a new sticker pack and start adding photos that you want to turn into stickers. Use your finger to draw sticker boundaries or you can use pre-set shapes like Circle of Heart to make your cutout. Once you’ve added enough stickers to your pack (3+) simply press the green Add To WhatsApp button to export them into the messaging app. A great app with a very nice interface that lets you download fun sticker apps, as well as create your own. 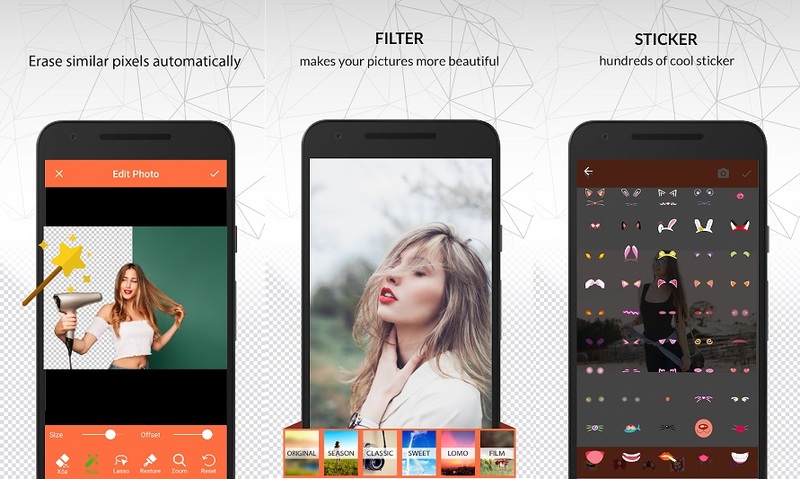 The app allows you to make a Circle or Rectangle cutouts in your photos, but won’t let you manually crop them. What’s more, you can’t remove the background, so if you want to do that you’ll have to use another app. 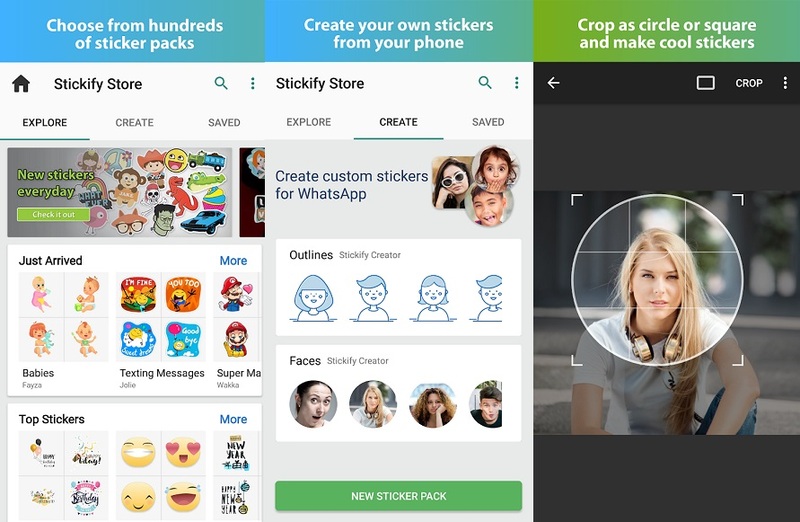 Nevertheless, Stickify is a fast and easy way to convert your photos into stickers and import them into WhatsApp. So it’s certainly worth trying out. MojiPop is an interesting tool to have around. It’s basically a keyboard you can use to create animated stickers with a twist. Snap a photo of your face (selfie) and the app will create an avatar which you can customize as you please. Then the app will then serve hundreds of fun stickers featuring your face which you can use in WhatsApp, but also Facebook and Hangouts. Want to be able to add text on your stickers? Then you might consider downloading this app from StickoText. It’s also a library for lots of packs you can download, but most importantly it lets you create your own. Select the photos you want to transform, add a background and text. Then save them as WhatsApp stickers. The app will add them in Storage and you need to access this tab to add export them into WhatsApp. Note that the app does not remove the background from your photos, it simply converts the images into stickers. If you prefer the more classic approach, you can create your stickers from scratch. With the help of an app like Background Eraser, you can delete the background of any of your PNGs and then manually import them into WhatsApp. This way of doing things take a bit longer, but in the end, it might be more satisfying. A full tutorial on how to do that can be found here. 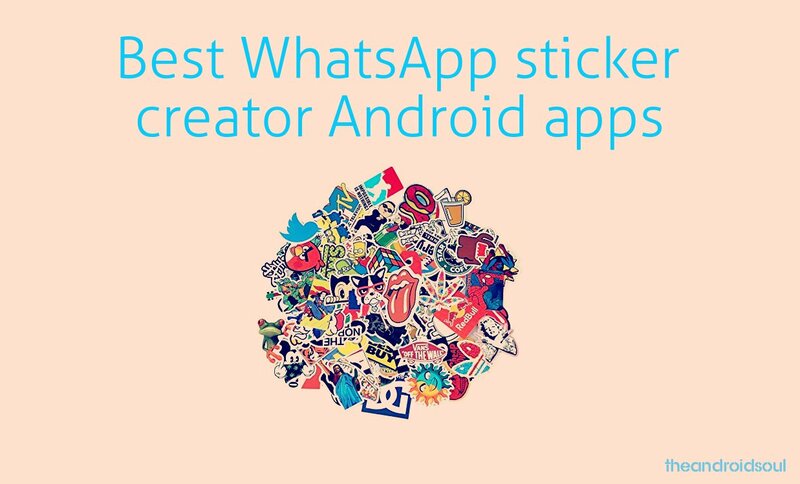 Do you know any other cool apps for making WhatsApp custom stickers that we’ve not included in this list? Let us know in the comment section below.